Some interesting numbers arrived straight from Asia Pacific region. In spite of low broadband penetration in some of these areas, more than 50% of the users in the region visit Social networking sites. 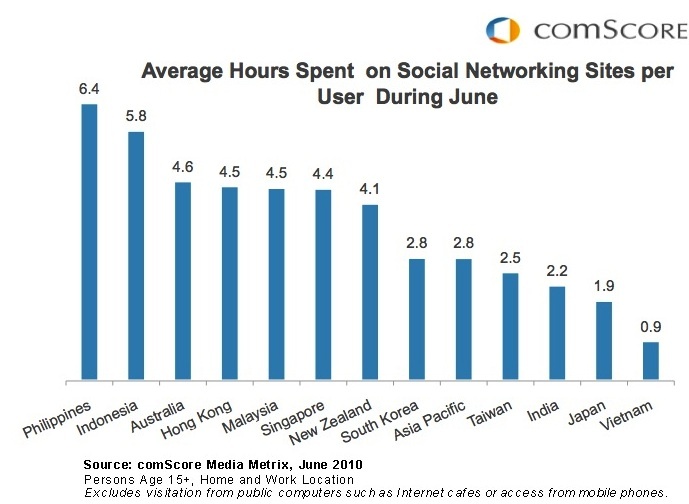 What is even more impressive than the volume of traffic is the amount of time spent by users on social networking sites. Social networks capture more time than emails, games, and entertainment activities online. In half of the markets surveyed, spend more than 4 hours a month on social network sites. Wait, did you think the traffic and the number of hours have been contributed by pesky teenagers visiting social networking sites?? What used to be an activity dominated by the 18-24 year old demographic is now a main activity in the digital lives of users across all age groups. 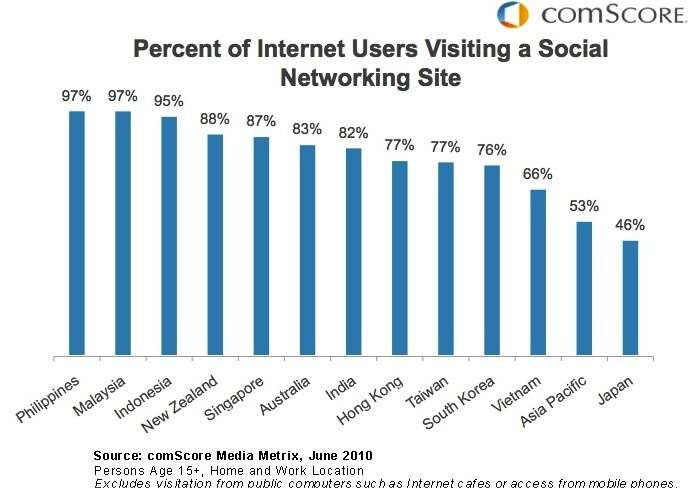 In Singapore and Hong Kong for instance, more than half of social networkers are age 35 and older. So now marketers trying to capture eyeballs in the Asia Pacific region know where to invest their money! American express is the latest brand to join the social media bandwagon to connect with prospective customers. The famous credit card company has recruited money experts and clever writers to help in their launch of a new financial services community called Currency. The community is targeted at helping recent university graduates manage their incomes better. It delves on obvious topics such as managing student loans, handling your taxes and arranging insurance. Sounds boring? To capture the interests of fun, loving young generation, Amex has introduced some fun content too. Fun posts talk about how to host a dinner party on a tight budget, or how to vet a roommate candidate on Craigslist. Which recent graduate wouldn’t want to know these fun stuff? The community also has an in built game called Social Currency. It is an application available on Foursquare. It allows you to check in to stores and create wish lists with pictures and price tags. Credit card companies are coming up with innovative social media strategies to involve their customers. It is time for Indian credit card companies to embrace this new media. What strategies do you think Indian companies can employ? We would love to hear your views.